Brian Wilson, a children’s librarian, stands among stacks of books at Evanston Public Library. Wilson will start work for the 2017 Caldecott Award Selection Committee in January. For some, picture books may be a tenant only of early childhood, but for Evanston librarian Brian Wilson, the illustrations and prose of books like “Kitten’s First Full Moon” and “Where the Wild Things Are” still have emotional pull. At EPL, Wilson reads books during story-time sessions for children and their families and selects books to stock the shelves of the children’s section. Wilson started at the library 14 years ago after working at a public library in upstate New York and another in Oak Lawn, Illinois, more than 15 miles away from Evanston. This year, two decades after Wilson received his masters degree in library science, he said his election to the Caldecott committee was an honor. EPL’s youth services supervisor Jan Bojda hired Wilson more than a decade ago and nominated him to the committee. She said his devotion to children’s literature — and to the children who visit the library — made him an easy candidate for the job and the committee. “Someone who stood up for kids as patrons was somebody that I wanted to work with,” Bojda said. Wilson, who will sit on the committee with about a dozen other picture book experts, said he didn’t expect to be selected. He said to be considered among such qualified people was an honor in and of itself. The committee will have its first meeting in Boston in January to discuss the best picture books of 2016. Although most of the work and research will be done from home, Wilson noted the considerable time commitment that comes with selecting the next winner of the Caldecott medal. 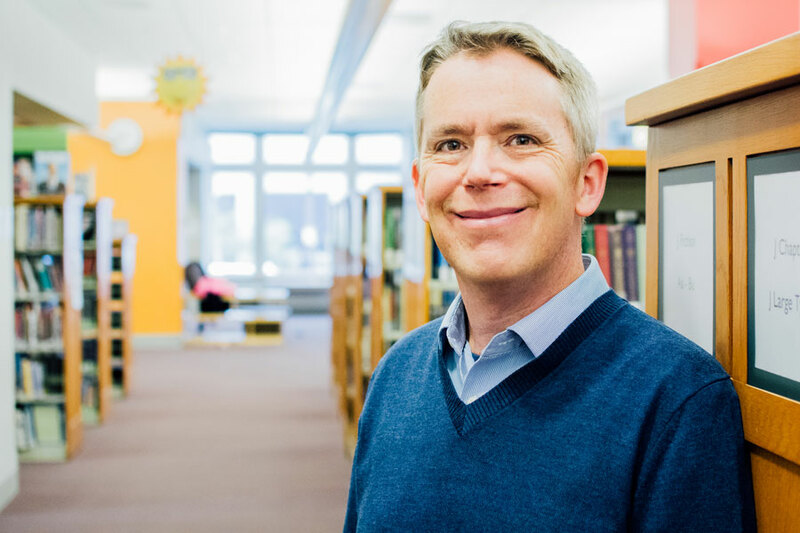 EPL assistant director Paul Gottschalk said Wilson has strong connections with picture books’ authors and illustrators, often putting the library in contact with them to organize events. Ralph Holcomb is a stay-at-home Evanston father who has attended many of Wilson’s story times with his 18-month-old and five-year-old daughters. Wilson switches up the books, keeping both the kids and the parents engaged, he said. Holcomb said although his five-year-old daughter clearly loved Wilson’s performance, he found himself enjoying it too. Wilson said it’s an exciting time to read children’s literature because there are hundreds of books for all age levels. Picture books are especially important to promote early literacy, he said. The library often holds parent-child workshops to promote toddlers playing and experiencing storytelling. During a workshop, Wilson described a mother approaching him and telling him how welcome she felt with her two-year-old son after recently moving to Evanston. Correction: A previous version of this story misstated where Wilson had previously worked. He worked in Oak Lawn. The Daily regrets the error.